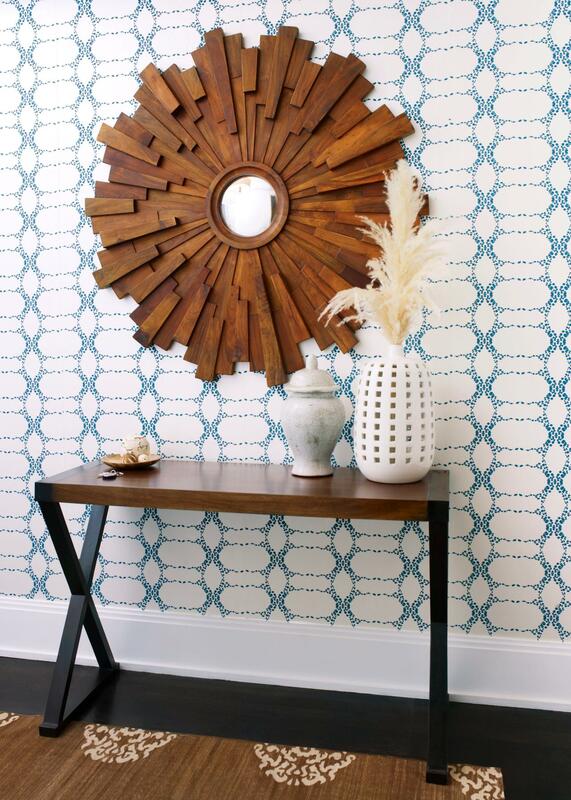 An entryway can say a lot about a home. 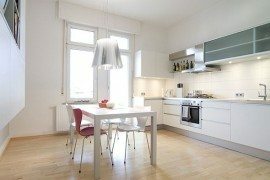 It can be a clear reflection of your preferred choice of interior and how you choose to style your home. 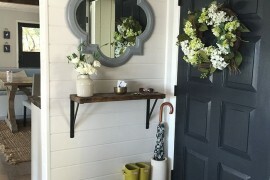 Think of an entryway as a first impression; it matters! It’s the first impression someone gets of your home, the first piece of interior they see. It’s not just a place where you hang your coats, leave your shoes and drop off your purse. It’s an important part of your living space and should be honored as such. 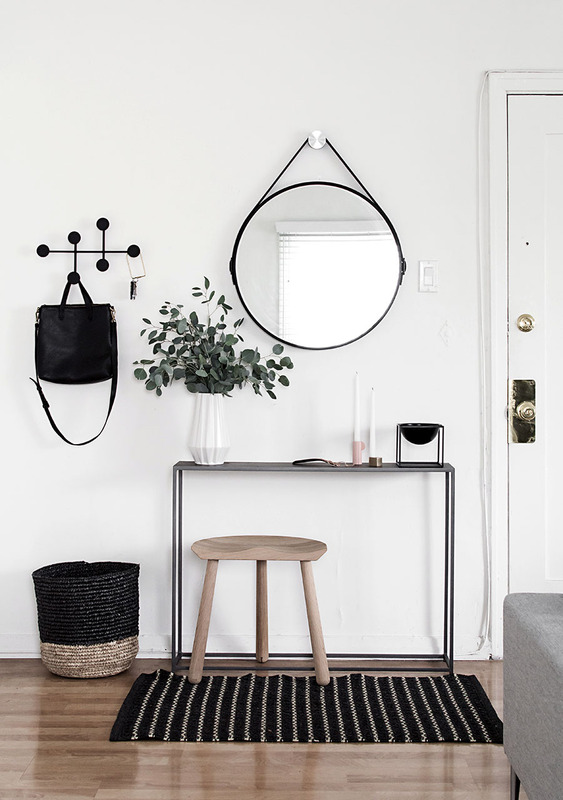 A wonderful way to decorate an entryway is to keep it clean and minimal. Every time you step over the doorstep will feel like you are stepping into an open home that is neat, tidy and uncluttered! 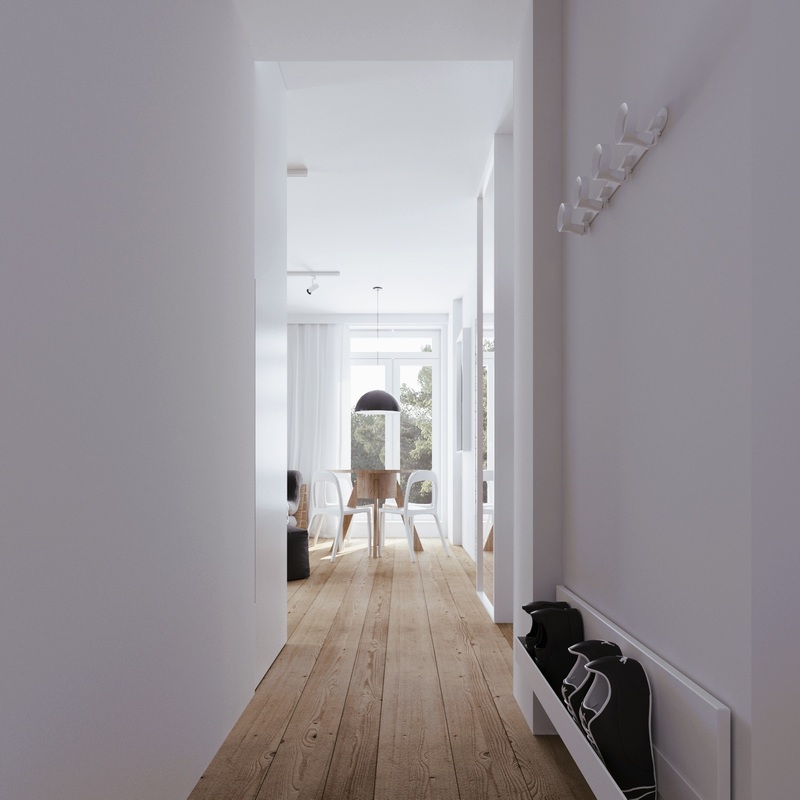 If you need some inspiration, take a look at these 30 minimalist entryways! One of the secrets to a perfectly looking minimalist living space is to utilize the natural lighting and make the space appear big and bright! 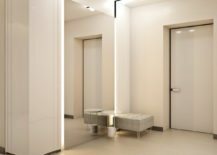 You can achieve this with white walls or big mirrors, truly making your entryway visible and illuminated! 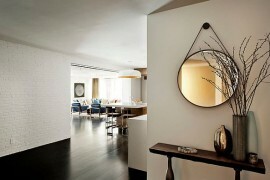 Nothing opens up the space quite like a big mirror and you can see it in action at Amber Interiors! 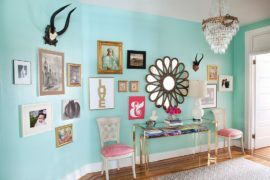 It makes the entryway look much bigger, so much so that it almost feels like a room of its own! 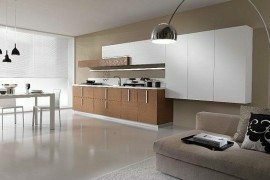 The more you leave the walls bare, the more minimalistic the space will feel like. 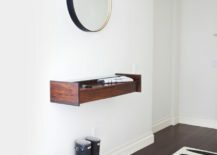 A small mirror and a shelf are more than enough to cater to your needs and keep the space looking extra clean! 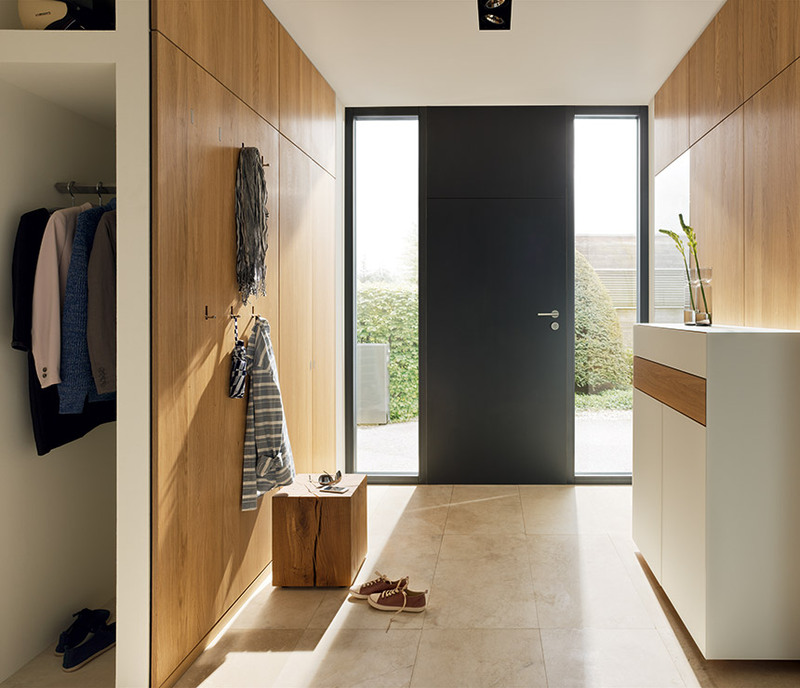 If there is a need for a wardrobe in your entryway, try to stick to the neutral colors to embody the simplicity and be careful not to over-clutter it with clothes. 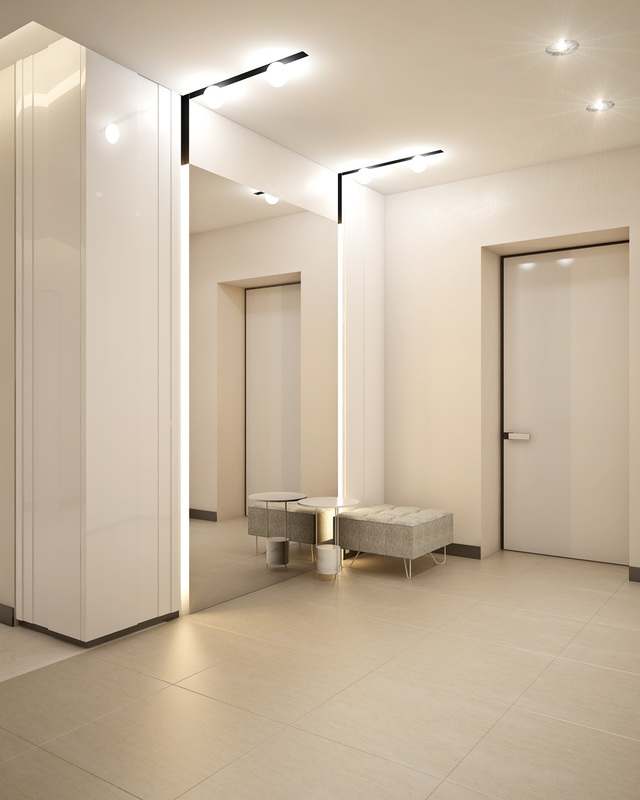 White is minimalism’s closest ally! 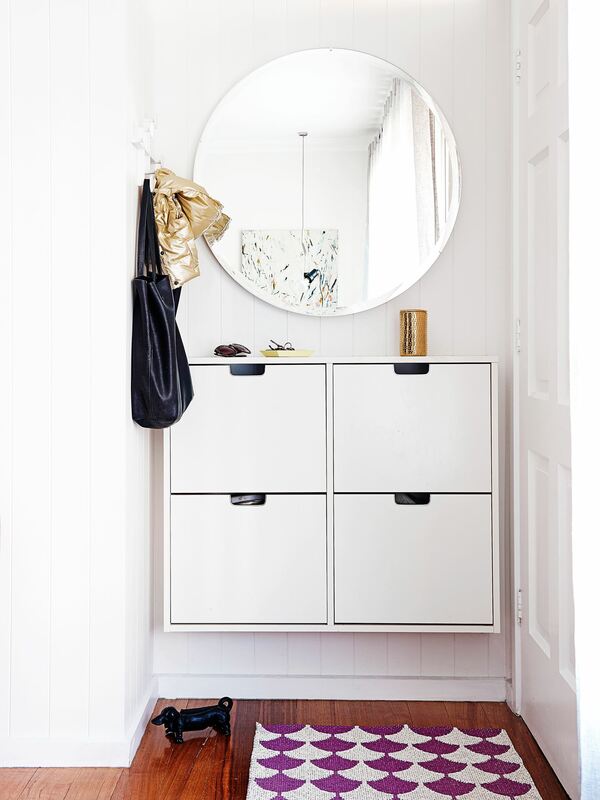 Leave your entryway as open as you can and make the best of white and cream to create a charming, minimal space. 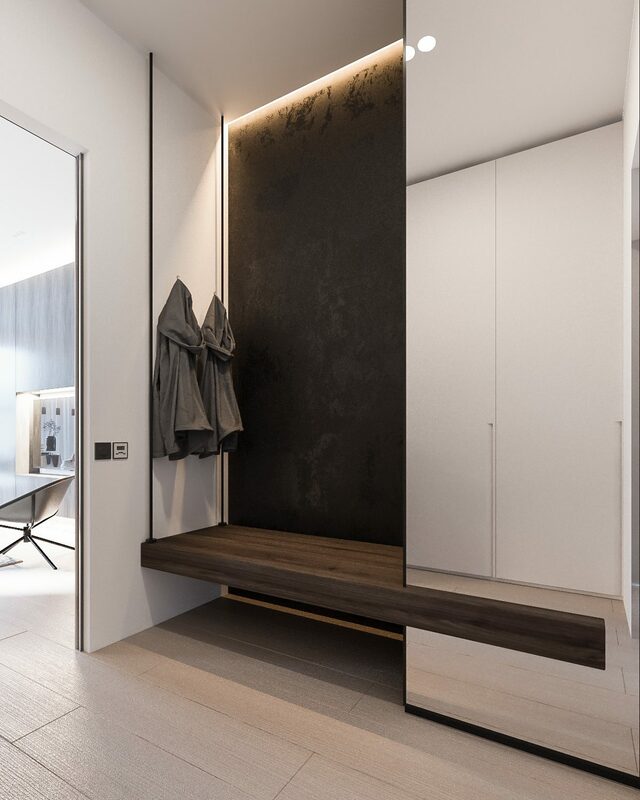 A built-in bench is a wonderful idea when we don’t want to smother the space with extra furniture pieces, but still need that extra surface to sit on or drop off our things as we enter through the door! 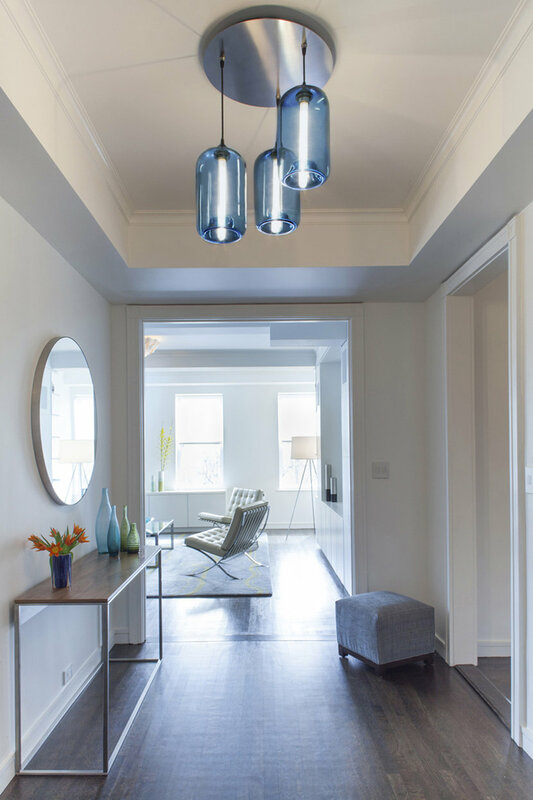 Gray tones are perfect for minimalist entryways; they keep the space simple, neutral and orderly. 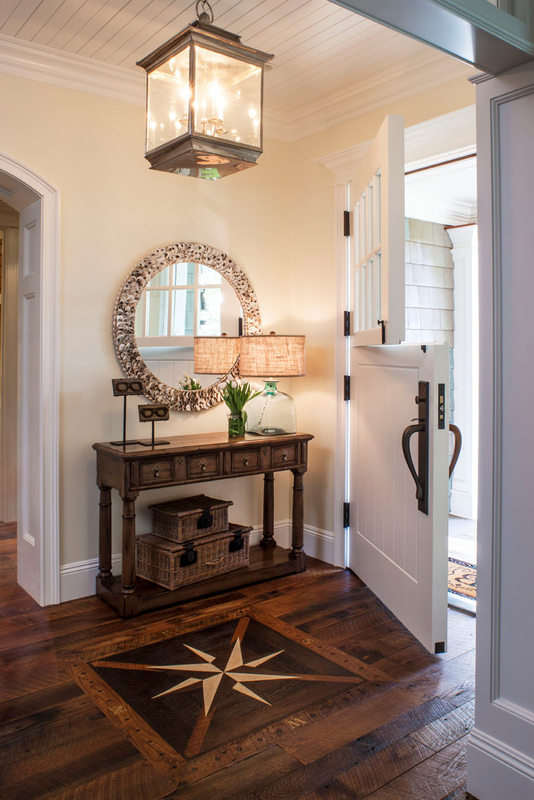 If you add big mirrors to the mix you get an open, simplistic entryway with so much serenity! 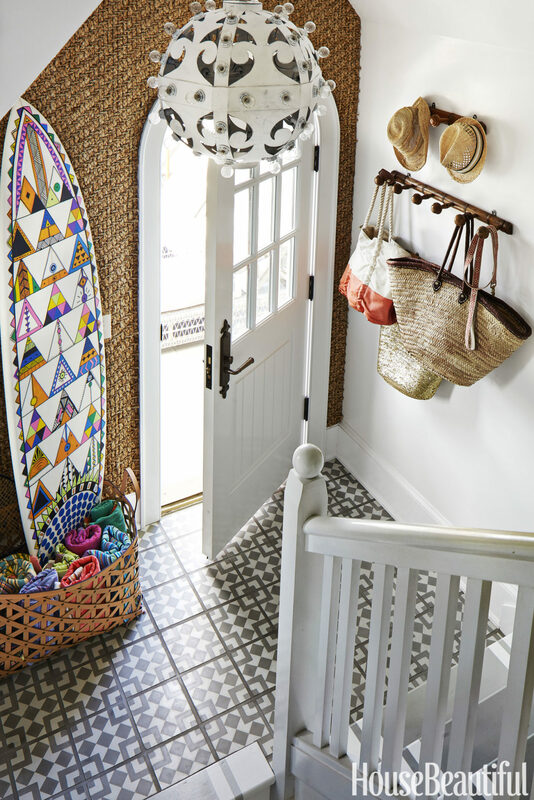 Sometimes the entryway is best kept free of all elements, open and breathable, with all the freedom that white walls and its subtle decor can offer. 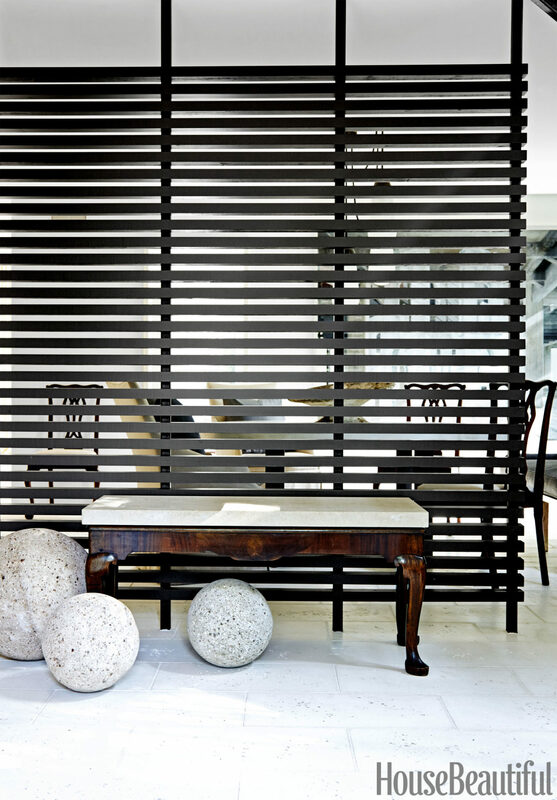 Black, white and wood are a magic trio; they capture the elegance in the living space, but still manage to make it feel cozy and familiar! 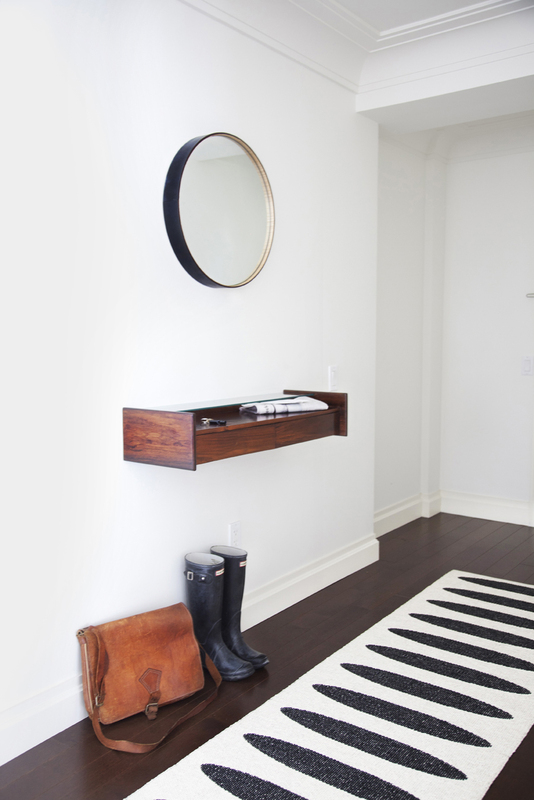 This minimalist entryway feels personal and neat, a great sight to see when you step into your home! 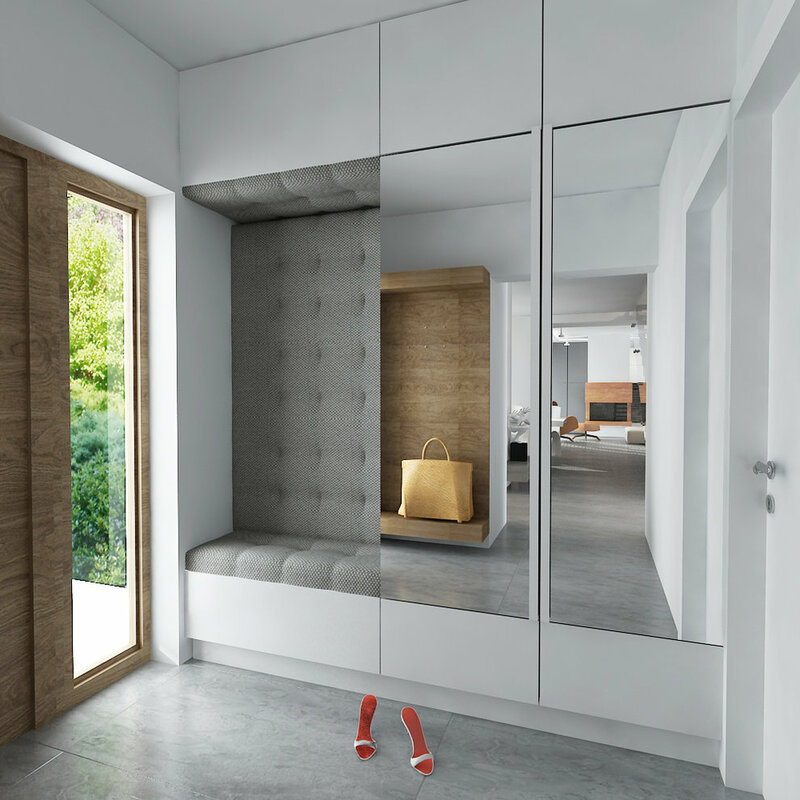 When an entryway is very tight, the recipe for success consists of a big round mirror, preferably even without a frame, and a white cupboard mounted on the wall so you get some space underneath it as well! Keeping it simple always pays off! 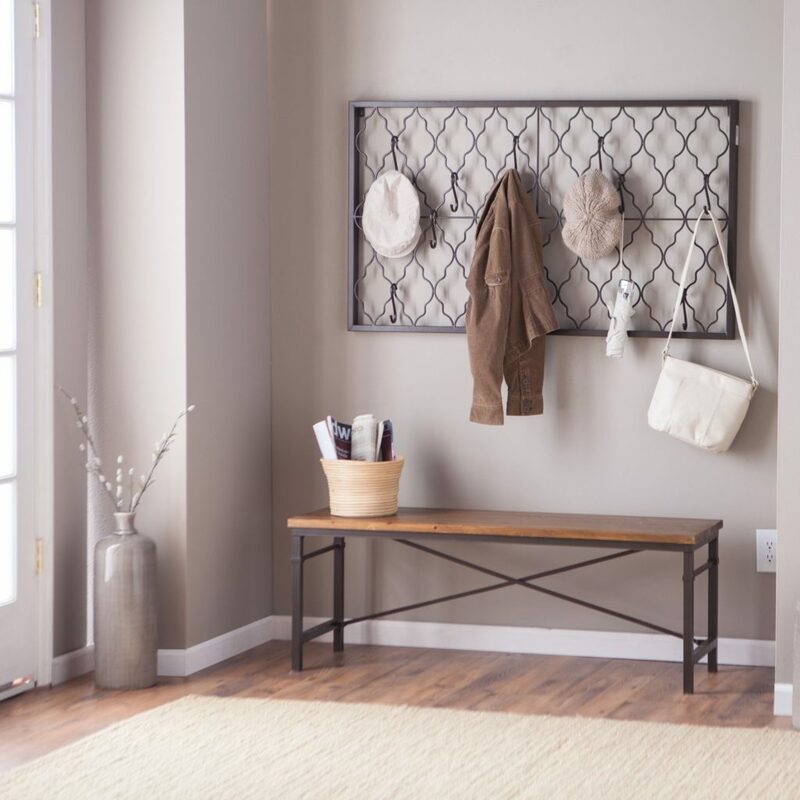 A narrow entryway could quickly feel very cluttered if you added too many elements into it, so leave it minimal by choosing white walls and wall-mounted shoe storage and coat rack! Minimal doesn’t just mean very few elements, it also means that those elements are neatly organized. 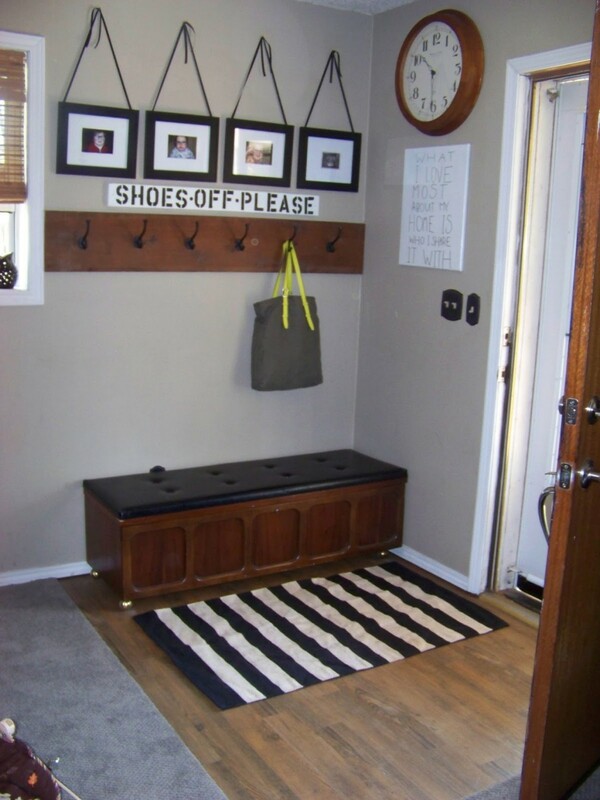 The way you organize your entryway can make it feel either very open or very closed up. Opt for minimalist wardrobe options and stay loyal to simplicity! 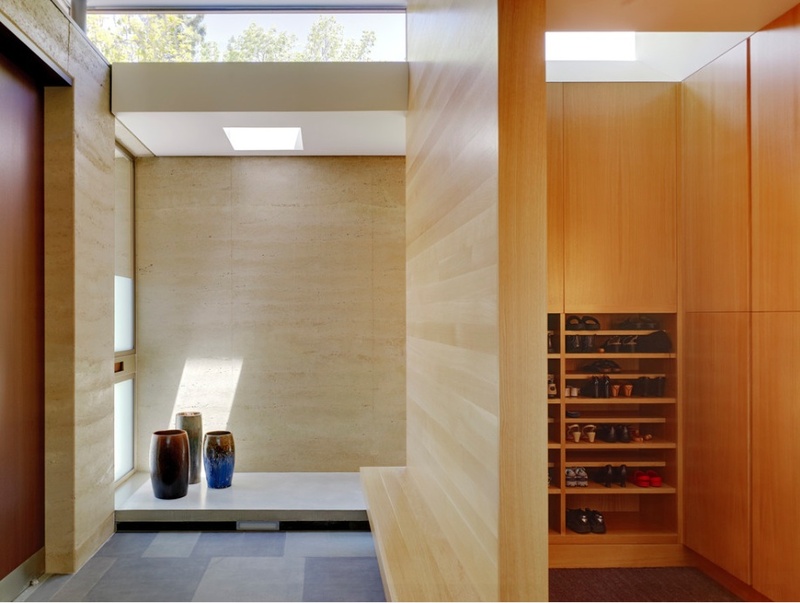 Find inspiration for your simplistic entryway in japanese home decor trends! 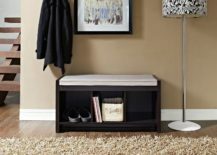 The polished wooden look radiates elegance and a separate compartment for shoes assures you a neat and organized home! 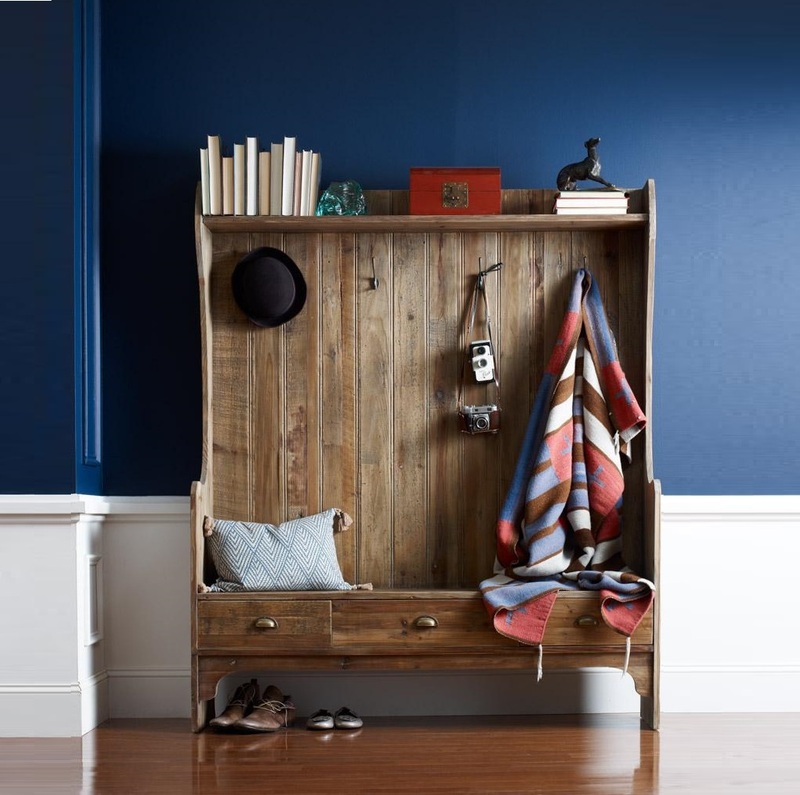 You can absolutely bring rustic elements into your minimalist entryway! The trick is to decorate the space in a way that feels cozy, but doesn’t appear messy or disorganized! 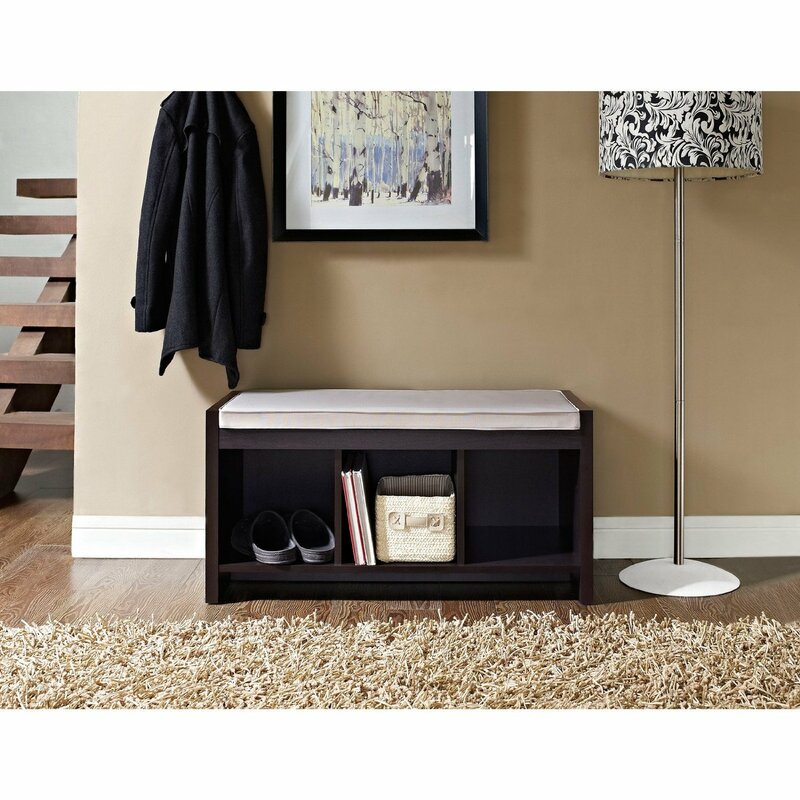 Sometimes a short little bench is all that’s needed in a small entryway. 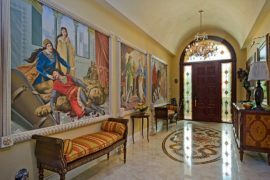 Add some decorative elements, such as wall art or a chic lamp, then stand back and enjoy the sight of your welcoming entryway! A classic, wooden wardrobe is ideal for a countryside styled home in need of a spacious entryway that still has the appeal of the outdoors! 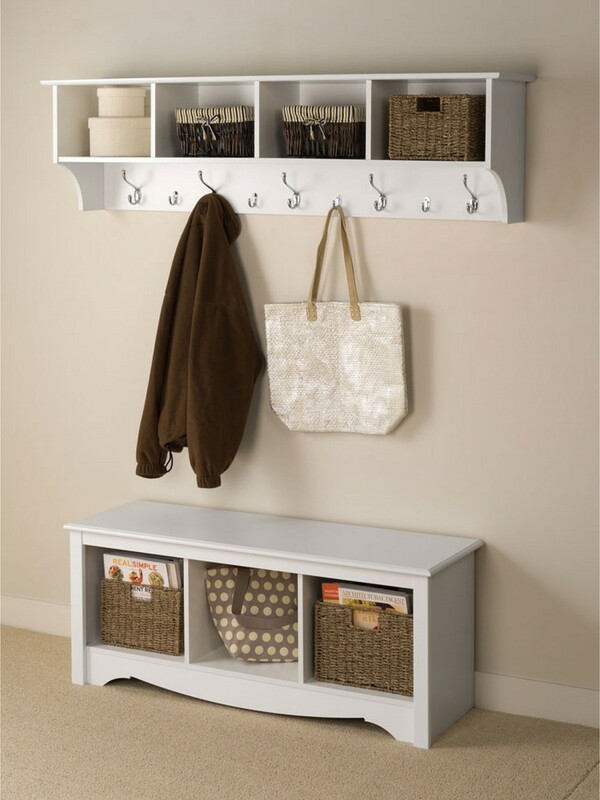 Keeping things white and bright is a smart idea if you plant to add some colorful pieces to your entryway wardrobe! 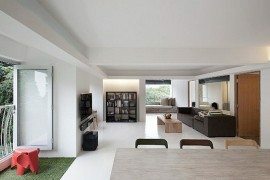 The white furniture will balance it out and retain the minimalist ambience! 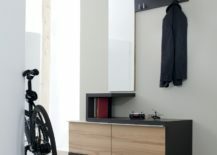 Making the best of the vertical space that you are given is essential! 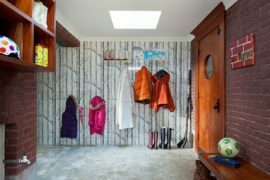 This type of decorating will make your entryway look much smaller and cozier, simultaneously giving you a lot of space around the wardrobe to leave unfurnished and save the room from appearing untidy. Opt for a white wardrobe but add some brown elements to it, for the perfect balance between elegance and country. When you think bohemian you probably don’t associate it with minimalism, but sometimes an idea comes along that shows us we can have the best of both worlds! 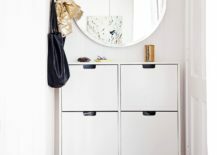 This shabby chic entryway wardrobe, with a certain bohemian appeal, can channel the energy of minimalism as long as you stick to keeping it tidy and uncluttered! 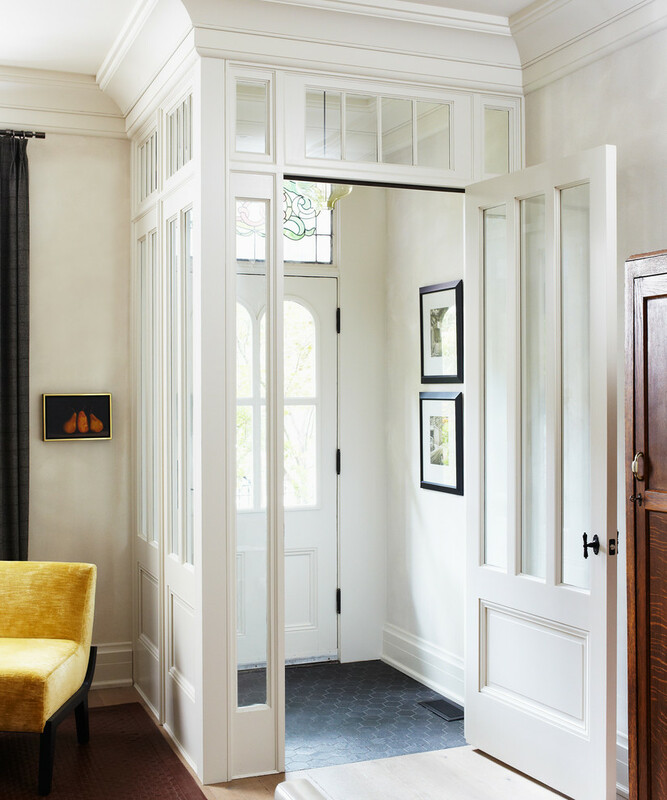 The cream color of brown creates a calm entryway with a pastel touch that acts cohesive and radiates comfort! 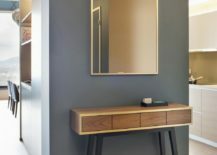 A dark wooden wardrobe will have your entryway looking simple and classic, a great combination for a home with conservative decor that likes to be inspired by tradition. 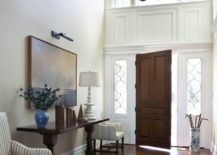 The elements that you choose for your entryway, whether they have a practical or only decorative value, have a lot of power over how the space will feel like. If you can’t resist trendy decor pieces, be sure to compromise by keeping the colors in the space as bright as can be! 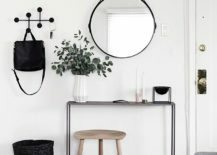 When you’re blessed with a wide entryway, a temptation to over-decorate can quickly arise, but if your goal is a minimalist look, stick to simplistic pieces that don’t take up much space! 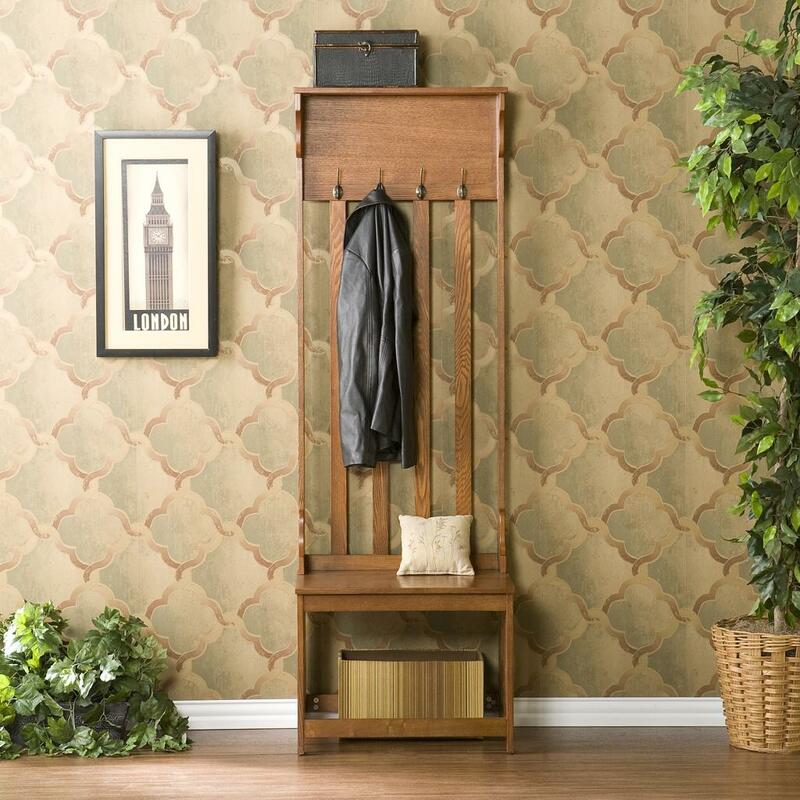 An entryway doesn’t have to only be a place to hang your coats or leave your shoes – you can transform it into a simple lounge area with a wooden table and two armchairs! 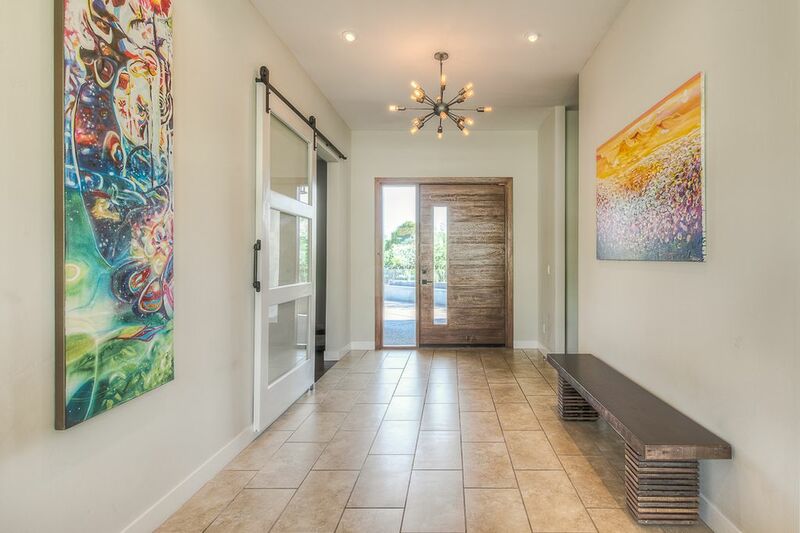 This entryway looks like a gallery and we absolutely adore how the vibrant colors of the wall art bring harmony to the expanded, minimalist space! 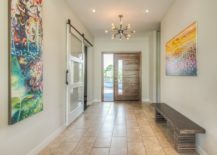 Subtly decorated entryway will make a great first impression on anyone who enters your home, given its calm and laid-back feeling. 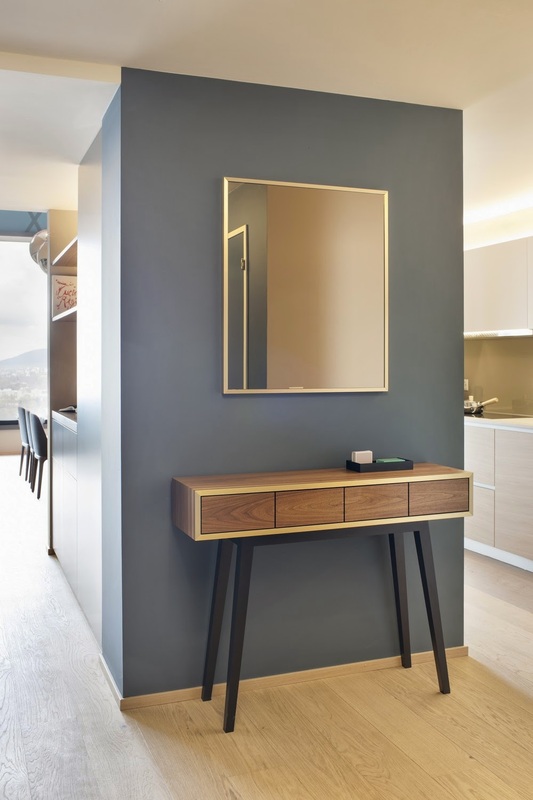 Console tables have claimed their place within many modern entryways and we absolutely love the trend, seeing as it captures the minimalist setting but still gives you the necessary storage space! 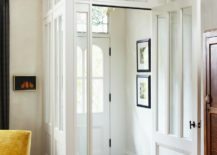 If you’re lucky to have a vast entryway you will easily get away with putting in bigger decor pieces, perhaps even more colorful ones, and still get to present the space as minimalist! Black and white are the classic colors of minimalism, ones that can fit into a traditional home styling as much a contemporary one. 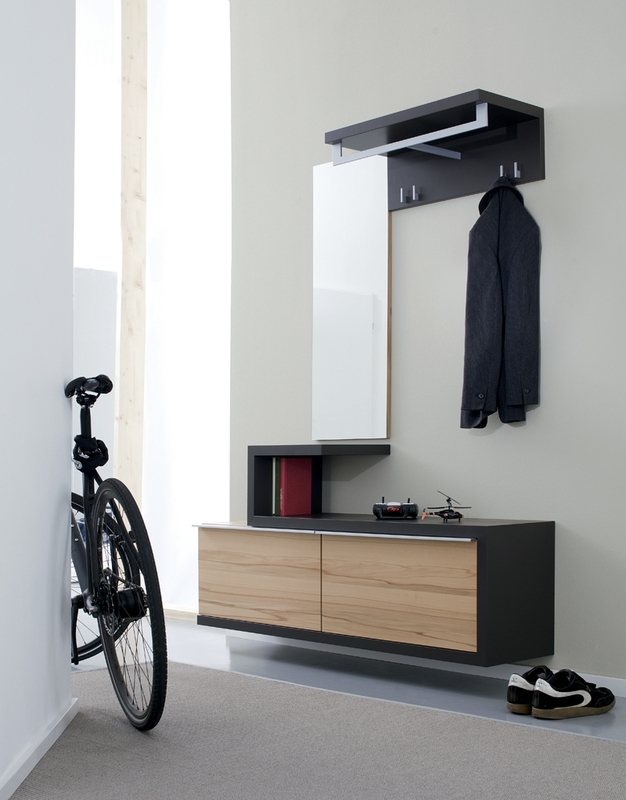 This monochrome entryway with just a dash of wood is a great example of dynamic simplicity. Place the table and the rest of the decor elements behind the front door, so you maximize on space and feel like you enter into openness, rather than clutter! 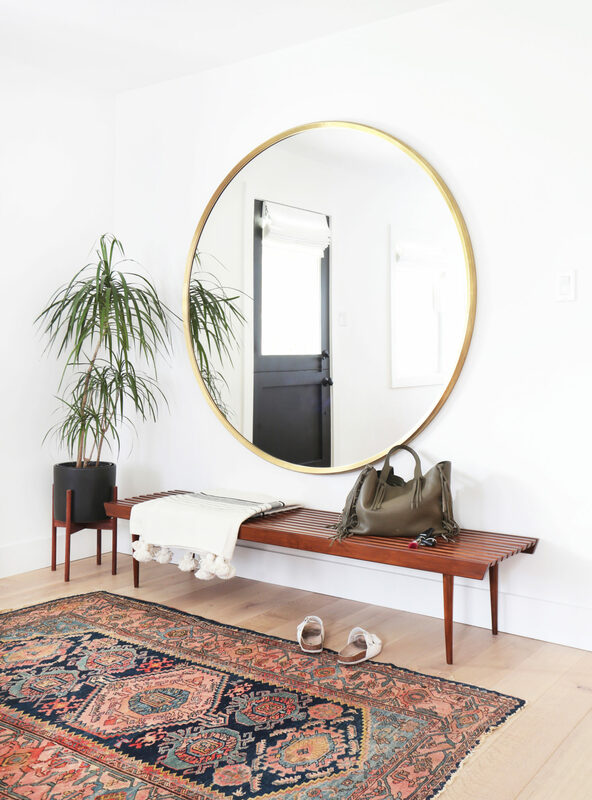 A small mirror might not supersize the living space as much as a bigger one, but it does make a fabulous farmhouse decor element that will be a striking piece within your minimal entryway! 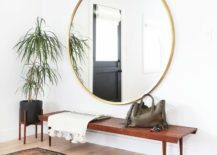 Can a coastal entryway be minimalist? Of course it can! 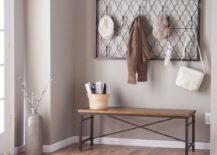 Resist the furniture pieces and rather go with a simple coat rack that is more than enough to store your bags and hats! A surfboard as corner decoration is optional, but epic!